Home Reviews Review: It’s Thor, It’s Spiderman… No It’s Justice League! There are two kinds of films in this world, dear readers – those that entertain you and those who go down trying. Zack Snyder’s innings with DC began with a try (Watchmen – 2009) and after 8 years he is still trying to get the right combination so that he can tell the executives at Warner Bros. that DC has the ability to match the Marvel Universe. Sadly, even the mighty superheroes of Justice League fall short by a long way in their attempt to rule through Truth, Justice and the American Way! The world is in chaos following the death of Superman in Dawn of Justice; when Steppenwolf invades the planet, Wonder Woman and Batman decide that it was time to ‘unite and conquer’. 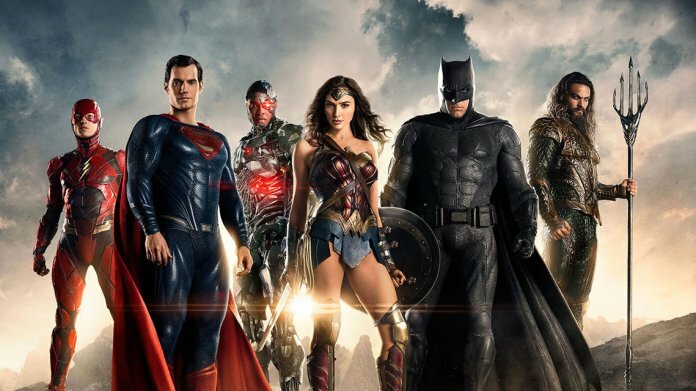 They get hold of superheroes The Flash, Aquaman and Cyborg in order to create a Justice League that saves Earth from alien invasions as well as local villains. Do they succeed in defeating the invasion or are they outnumbered in their quest to save the world – watch the film to know more. The bigger the villain, the more enjoyable the battle … but then except for a handful of die-hard fans of DC in this part of the world, many hadn’t even heard of Stephen Wolf … or was it Steppenwolf. Whatever! Why waste time with such a villain who many can’t relate to … of course he is Darkseid’s uncle but the nephew would have been a much much better option as people could relate to him more (at least in this part of the world). Also, he looked scary to 3-year old or less who weren’t allowed in cinemas in Pakistan, thus minimizing the director’s strategy. The fight sequences were badly executed as well and when the film ends, you end up wondering what to call the film – a two-hour nightmare or a disaster that isn’t worth anyone’s time. The forced humor was a 360-turn from the unnecessarily dark Dawn of Justice and the scenes where Barry Allen aka The Flash tried to be funny reminded you of Tom Holland’s Spiderman – the good part being that Holland looked young and silly while Ezra Miller (playing the Flash) didn’t. The CGI reminded you of Superman: The Quest for Peace (1987) that until Zack Snyder’s emergence was the worst film in the DC Universe featuring a known superhero. It’s about time that executives at Warner Bros and DC wake up from their ‘all is well’ sleep because, in their Universe, nothing is well. With The Avengers and other Marvel characters going strong because they invest in scripts and not in pre-production, DC should either reboot their characters (like Thor Ragnarok) or get a scriptwriter and director who comes up with a film that the audience wants, not what he wants. I need warriors. #JusticeLeague in theaters November 17. Zack Snyder should be banned for making Superhero flicks in 300 mode otherwise the audience will only take Wonder Woman seriously, for hers was the best DC flick since Christopher Nolan’s exit. When a superhero flick has half a dozen superheroes, you expect full-time action but here the abundance of dialogues gives you the feeling of a low-budget TV show that only half a dozen people will watch till the end.